A Peek Into My Room and some zebra items! I bet everyone has wondered where I have been all week. I have been working very hard in my classroom and getting ready to present at our annual back to school in-service. I'm not done yet, but I do have a few pictures to share with you. The labels all turned out so great! Go here and here and here to get them for free! I've seen these all over the net and I had to make them! I used scrap paper and a label maker. I'm working my hardest to have it done by Sunday! Hopefully I'll be back on Sunday with pictures. I'm also linking up with Friday Freebie over at TBA. If you haven't already check this out, you should. 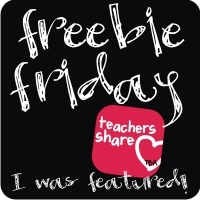 Teachers all over the net are sharing free classroom resources. I'm sharing a few zebra items. Above you can download my zebra labels which are editable. Below you can download my zebra style homework passes. those zebra passes are so cute! who knew zebras were so loveable (and not just zebra print)?! I love all your ideas for making things look so cute and matchy-matchy! I am your newest follower and I new blogger myself :).